If your eyes are the windows to your soul, then your face is a map of everything that ails you, according to Traditional Chinese Medicine (TCM). While this may sound farfetched to some people, many traditional healers contend there is a science of sorts to the theory. When it comes to reading your face, however, in order to determine and even diagnose disease, the Chinese rely on the fact that your body is full of various connections and pathways designed to keep you running at optimal levels. Every organ, muscle, nerve and cell for that matter, must work together to assure homeostasis. 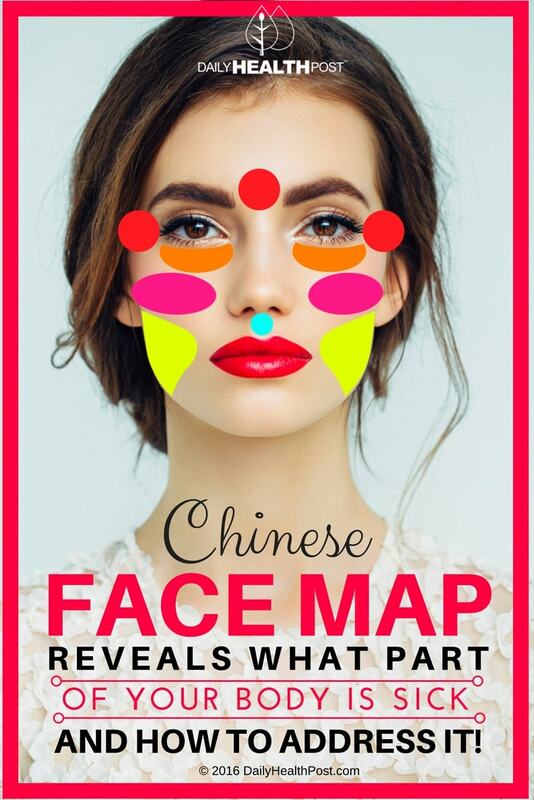 If one area is not working properly, it makes sense that it can affect other areas, which is essentially the foundation for Chinese face mapping. Your skin is actually the largest organ in your body—adults have about 8 pounds and 22 square feet of skin (2). Chinese face mapping theorizes that if your skin is not healthy, there is likely an issue somewhere else in your body. Your face can also reveal things about how you really feel, even if you try to mask those feelings (3). As such, your face can be a wonderful indication of what is happening internally since it reflects internal changes faster than other parts of your body. It essentially represents trouble brewing inside that you can’t otherwise see without more invasive measures. “Your face is a mirror of your health. 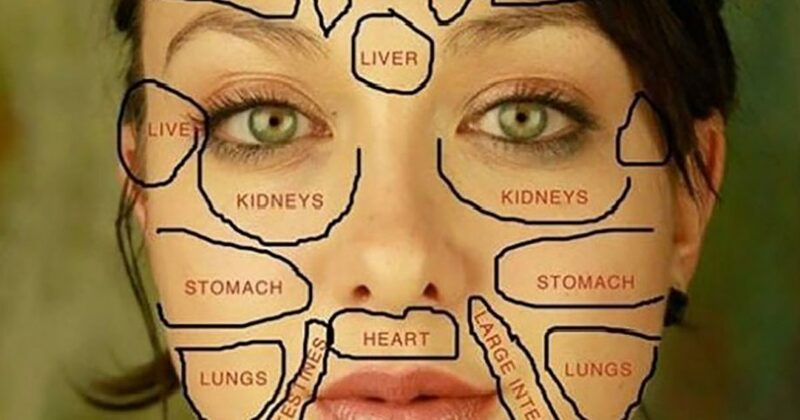 Your body has a map and your face is part of the map. Each of these organs is an open window in the face. The eyes are the window of the liver, the nose is the window into the lungs and the ears are the window of the kidney. When illness starts, the energy will not flow smoothly, so features on the face, including shapes and colors, will also change,” says acupuncturist Angela Zhang (4). Latest Headlines » Healthy Lifestyle » Chinese Face Map Reveals What Part Of Your Body Is Sick And How To Address It!